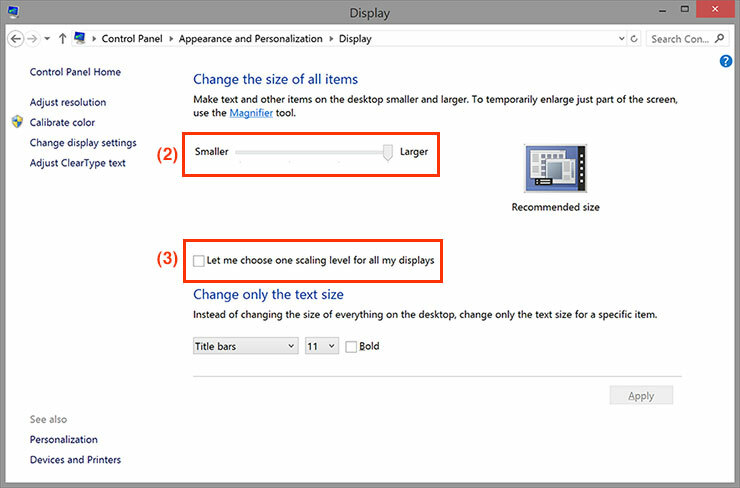 These settings allow you to scale the size of text or icons to match the size displayed with other monitor resolutions. Note: This information is provided based on our in-house testing. We do not guarantee the compatibility in respective user environments and conditions may vary depending on the graphics board manufacturer. (1) Open the "Display settings". 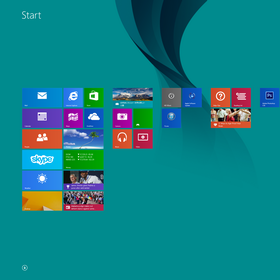 (2) Change the scaling level using the pull-down menu. 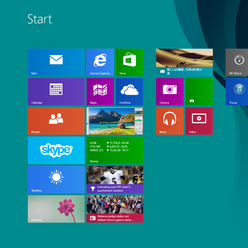 (1) Open the “Display” setting under Control Panel. (2) Change the scaling level using the slide bar. 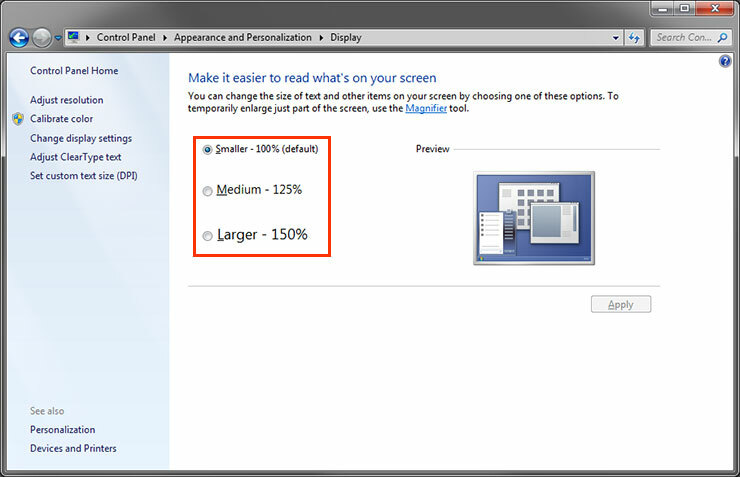 (3) If you want to set the specific magnification percentage, check “Let me choose one scaling level for all my displays”. 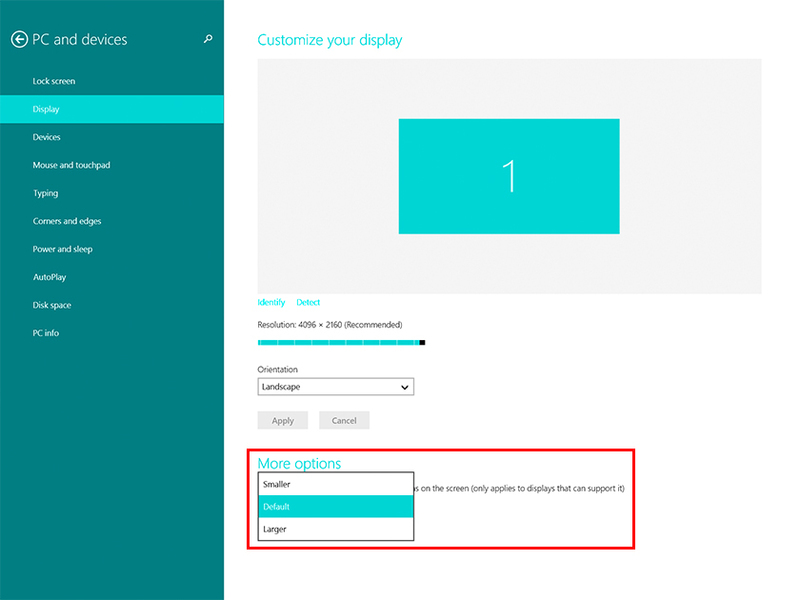 Please refer to 3.1 (2) for scaled display size. 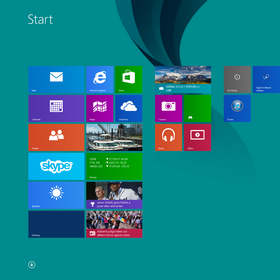 (1) Open the Windows 8.1 Charms Bar and click “PC Settings”. (2) Select “Display” on “PC and devices”. (3) Change the “More options” setting from “Default” to “Larger”. Note: "Larger" option may not appear in some cases. (4) Menu size is scaled larger. EIZO has compiled the DPI Awareness compatibility of a variety of applications that are required for office work, CAD, image editing, illustration/DTP, and video production. 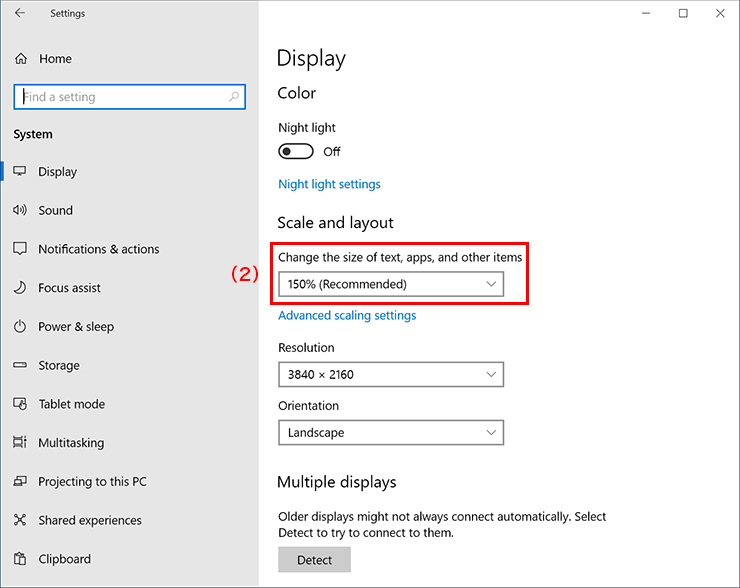 Choose your monitor and OS display settings according to your needs.